I have managed to get a custom grid on the print layout to convert northing and eastings (XY) to ESPG:27700 grid references i.e NS00 through to NS99. As you can see the x axis will change, but the Y axis on the right hand side should change to NT rather than NS, I know why it isn't - the expression based annotation is reading the NS query first and thus overring the NT query. 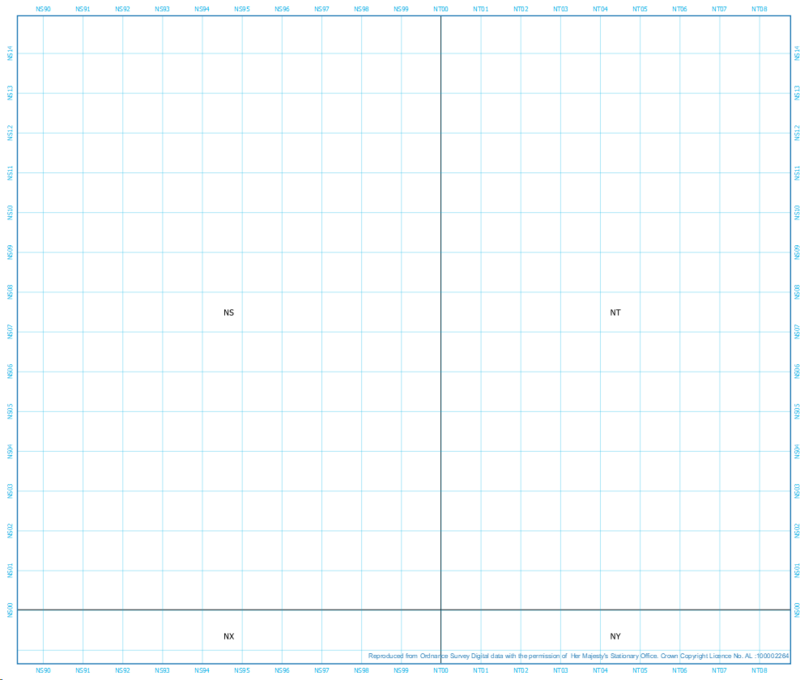 The same happens on the X axis when you move down from NS to NX (it will read the NS query first). Right now I have 55 different print layouts for each 100km square across the UK, but would love to just have one, and not have to fudge in labels when I have to map across a boundary! Your conditions for the y axis labels are identical. They both cover @grid_number values between 600000 and 700000. Presumably one of them should be for a different @grid_number range. Not the answer you're looking for? Browse other questions tagged qgis print-composer grids-graticules qgis-print-layouts or ask your own question.